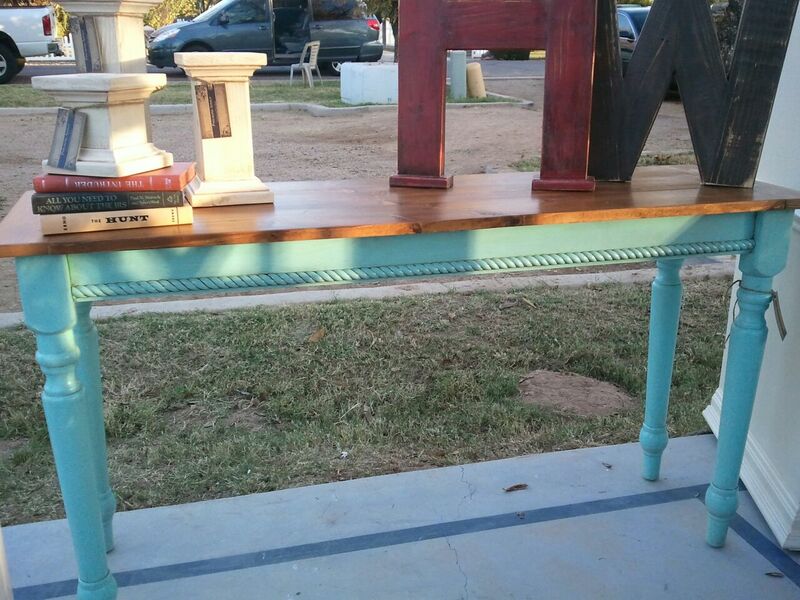 I was going through some of my furniture photos and I realized that I never posted any photos of my Rope Trim Console Table. This was one of my favorite builds! It went together like a dream and I LOVED the finish. I built it like 3 days before the Blitzen's Boutique, so I was so crazy I hardly snapped any photos. I took a couple with my phone as we were setting up, and unfortunately wasn't able to get any step-by-step photos. This is fairly similar to what I'm doing with the Oak Desk re-do. 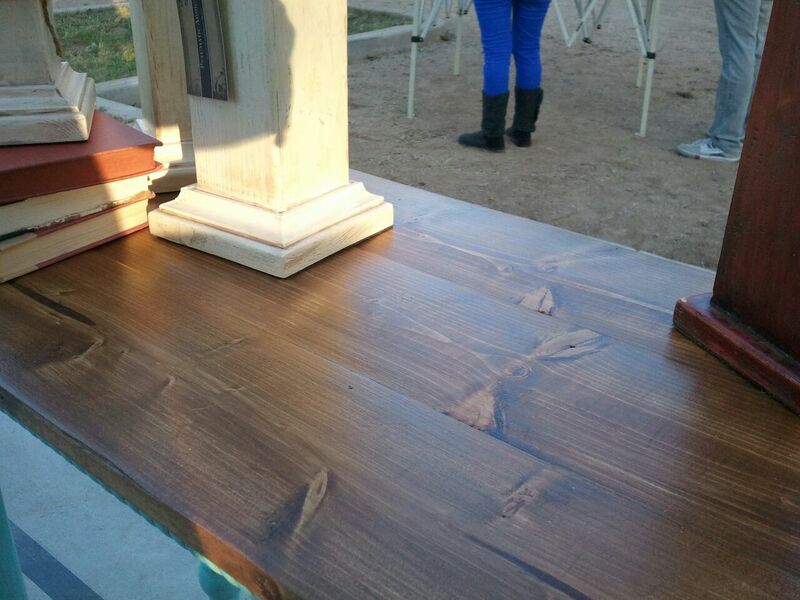 The desk is a little more rustic though. 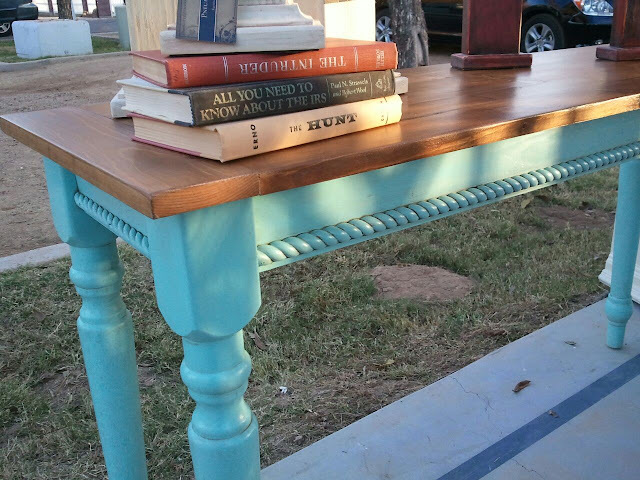 On this table a used a light turquoise, glazed with a light brown and no distressing for the base. The top came out beautifully! A medium chestnut color sealed in my favorite Minwax satin Polyacrylic. It's gorgeous!! I need one. Now I just need disposable income... :) great job! !